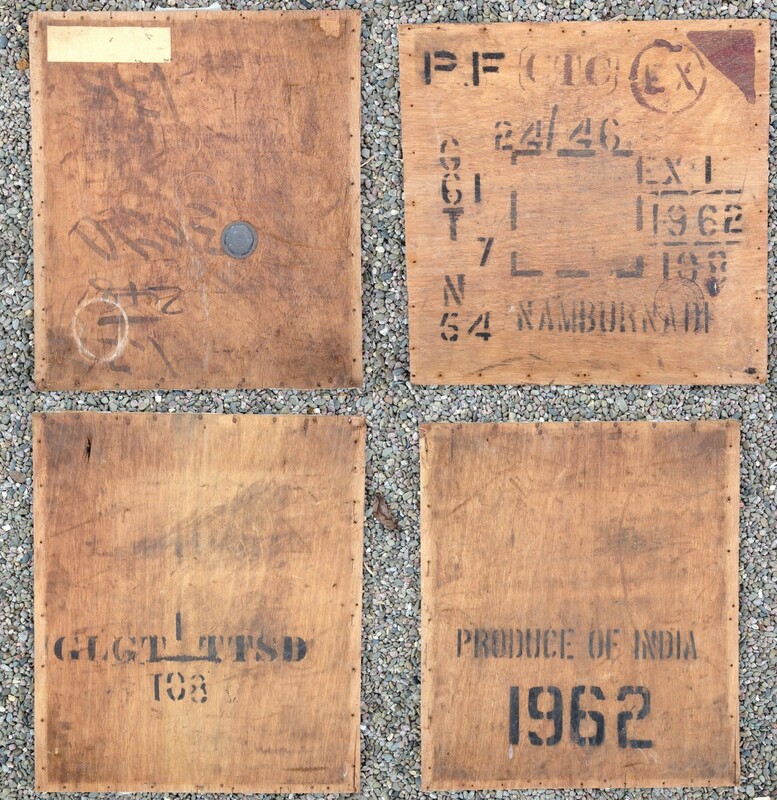 Another one from my dad’s stash – tea crates – and lots of them. Lovely textures, great stencil type, the one top left looks like graf tags. They may become cupboard doors.